CYNOSURE IS MUSED: "Khalsa" Akaal Purakh ki Fauj...!!! I mold Jackal into Lions. But, everyone says, before giving lecture or any teaching to anyone, one has to prove that by doing himself and Guru Gobind Singh proved it. On 21st December 1704, the tenth guru of Sikhs, Sri Guru Gobind Singh, along with his 2 teenage sons(18 and 14 years old), Panj Pyare(best translated to "five beloved ones") and 40 Sikhs, got attacked by an army of around 1 million mughals headed by Wazir Khan at Chamkaur(a district in Punjab). Well you can estimate the fear of Wazir Khan towards Guruji, just by the number of soldiers he took just to capture Guruji and his 40 Sikhs. If I'm not wrong, then result as many of you might think is that the handful of Sikh army would have lost, isn't it? But the scene was something different. Out of those so called "handful of Sikh army" proved themselves to be worth a million and only 42 Sikhs were able to receive the honor of being called a martyr (which included both his sons), rest, including Guriji, survived. However, how many mughal soldiers died during the same battle, is still an unknown figure. For detailed account of the event, click here. Some similar event took place approximately 200 years later, on 12th September 1897, at Saragarhi District, a part of North-West Frontier Province (now in Pakistan) where the story was repeated. This time it was without Guruji, but according to the orders of him only. 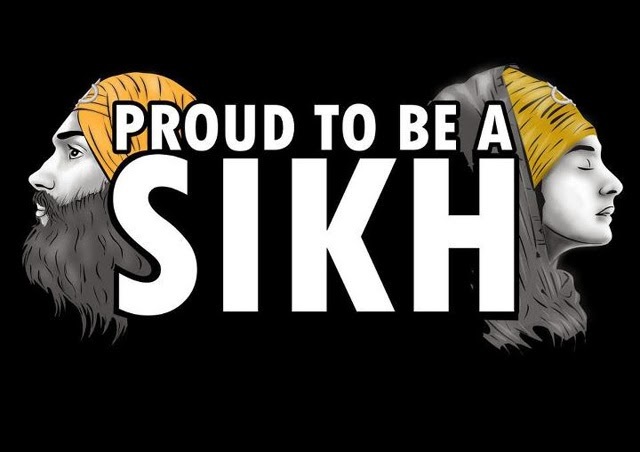 21 Sikh soldiers of 36th Sikh Regiment(the highest decorated regiment of Indian Army) were defending a post there, when they were suddenly attacked by around 14 thousand Pashtuns. The officer incharge, tried to send a call for help, but it was impossible for the help to reach on time. So, instead of backing out and running away, they decided to fight on their own. By the time help came, i.e., the night of 13th and 14th, all 21 were dead, but they held the enemies for the whole time and took down around 600 of them. They proved to be the True Sikhs of Sri Guru Gobind Singh Ji. For the complete details of the saga, click here. It will always be an honor to belong to such a religion who never bowed down in front of anyone. It will be an honor to belong to a religion who saved the lives of women of many Hindu families during the mughal rule, even when in return the same mob of people were just making fun of us by calling "Beware, its 12o'clock, Sikh will attack", because it was only for good and not for getting anything in return. 59,000 plus Gurudwaras serve langar, free of charge, to over 60 lakh people every day! For those, who cut their hairs and dishonor the religion, just look how beautifully Sikhism is being followed in foreign countries, then why not in India where it all started? PS: Thanks to Priyankar for sharing the article about the event of Saragarhi. hmm.. it is an honor to be a part of this community, which has got such great roots.. Most of us do not realise the gravity of greatness and contributions..
Guru Teg Bahadar Sahib ji's shahidi for saving Kashmiri Pandits from Mughals is never remembered by the community for which it was done..
No one remembers the fierce battles fought by Maharaja Ranjit Singh and Hari Singh Nalwa against Mughals and Afghans.. and how can I miss to mention Baba Deep Singh ji..
No doubt Guru Govind Singh ji was made of a different metal. I am not aware of all this. So glad to read. Wonderful information. I hope people start valuing other people's faith.